100% MONEY-BACK GUARANTEE: Molshine Glasses Case are backed by 100% guarantee that you are fully satisfied with your product or receive your money back. NOTE: Images are for reference only, Colors on your computer monitor may differ slightly from actual product colors depending on monitor settings. 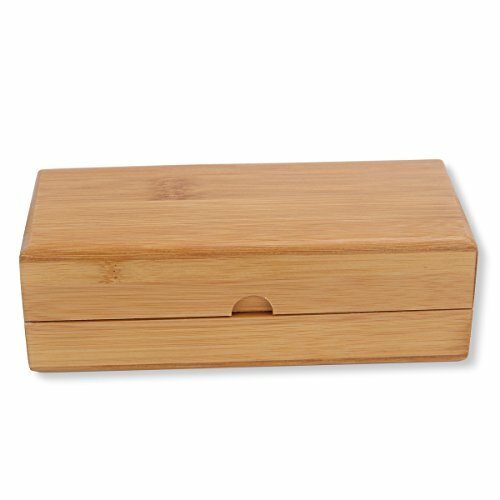 The box is made with actual bamboo, so each piece is unique and may vary slightly in color and pattern detailing. The box is light and can float in water. To protect your sunglasses will not damaged. Fashion style perfect for all sunglasses, wooden sunglasses or metal sunglasses. The box can also with other items, such as the brush, pen .